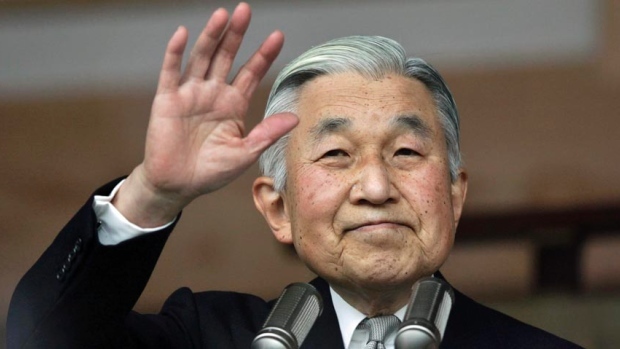 Japanese Emperor Akihito may be thinking of abdicating his post because his age is making it difficult to fulfill his duties as emperor. The BBC has this story. Japan’s Emperor Akihito has strongly indicated he wants to step down, saying he fears his age will make it difficult to fulfil his duties. The revered 82-year-old emperor’s comments came in only his second-ever televised address to the public. Emperor Akihito did not explicitly say he wanted to abdicate as he is barred from making political statements. PM Shinzo Abe said the government would take the remarks “seriously” and discuss what could be done. It is not as easy as that, though. Why can’t the emperor abdicate? Abdication is not mentioned under Japan’s existing laws, so they would need to be changed for the emperor to be able to stand down. The changes would also have to be approved by parliament. I am actually a little surprised that there is no provision for an Emperor abdicating under current Japanese law. There was a time, during the Heian period, in which the Emperor was not only permitted to abdicate, but was actually required to step down in favor of his successor. The period of time from 794-1185, when the court at Heian ruled over Japan is known as the Heian period. This was a remarkable period of Japanese history, in which the Japanese fully absorbed the influences from China and made them part of a a uniquely Japanese culture. During the Heian period, Japanese arts, literature, and philosophy reached a peak seldom equalled in the centuries since. The influence of the Heian period on Japanese culture is something like that of ancient Greece and Rome in the West, the basis of everything that followed. The earlier Heian period is also one of the few times in Japanese history in which the Emperor actually wielded political power, following the example of the all-powerful Chinese Emperors. Over time, however, the Imperial house began to decline in power and vigor, just as the various Chinese dynasties had. The powerful Fujiwara clan began to gain power at the expense of the Emperors. The Fujiwaras monopolized the top government posts and were the regents when an Emperor was a minor. They married their daughters to the Emperors so that a Fujiwara was always the Emperor’s father-in-law, with the filial obligations that brought. Eventually, the Fujiwara regents began to compel the Emperors to abdicate as soon as they were old enough to rule on their own. These Retired Emperors often became Buddhist monks and were referred to as Cloistered Emperors. By 1000, the Fujiwara regent was the emperor of Japan in all but name, while the reigning Emperor was a figurehead. In any other country, it is likely that the people who had the power behind the throne would have grown weary of the pretense and seized the throne themselves, as the Frankish Carolingians had overthrown the Merovingians and were overthrown in their turn by the French Capets, or the succeeding dynasties of China had overthrown one another. In Japan, however, this was unthinkable. One of the ideas that the Japanese had not taken from Chinese politics was the concept of the Mandate of Heaven. The Japanese Emperor was the direct descendant of the Sun Goddess and thus always had the Mandate of Heaven, whatever the failings of his person or his line. The Fujiwaras had to be content with being regents. In time, the Fujiwaras declined and the Imperial House began to reassert itself. In a characteristically Japanese fashion, the reigning Emperors, themselves, did not attempt to regain power. Instead, the Retired Emperors took power. This was the known as Cloistered Rule. So, during the period of Cloistered Rule, Japan was ruled by an all-powerful Emperor, who was in fact, a figurehead, with a Regent or Chief Minister from the Fujiwara Clan who was supposed to be powerful, but was another figurehead, while the real power was held by a former emperor who was in theory, merely a monk. It seems unnecessarily baroque and complicated, but the Japanese have generally preferred rule by consensus rather than by a single strong man. The system seemed to work well enough. Then again, perhaps it did not. The members of the Imperial Court at Heian always had a strong contempt for common people and the outer provinces of Japan, what we might refer to as flyover country. For the court nobles, the common people were little better than domestic animals, while the military aristocracy who fought off the northern barbarians were themselves semi-barbarians. The Imperial Court became more insular and isolated from the concerns of the provinces. The members of the court became more concerned with their rank and position at court than with administrating the country. As a result, the military leaders in the provinces began to gain power and by 1185, after a series of struggles between several Retired Emperors and military clans related to the Imperial Family, a warlord named Minamoto no Yoritomo took power as the first Shogun (Supreme General), ending the Heian Period, and establishing the military dictatorship of the Shoguns that lasted through several dynasties of Shoguns until the Meiji Restoration in 1868. The Imperial Court and the court nobility continued as before except they had no power and depended on the Shoguns for funds. Emperors still occasionally abdicated in favor of their successor, but the custom of Cloistered Rule ended with the end of the Heian Period. The last Emperor to abdicate was Kokaku who reigned from 1779-1817. His position as Retired Emperor caused some trouble with the Tokugawa Shoguns, and it is perhaps not coincidental that from his reign, and retirement, the Imperial Court began the process of asserting itself against the Shoguns. I don’t know when the laws about abdication were changed or whether the current law in Japan actually prohibits an Emperor from resigning or whether there is simply no provision for abdication. Judging from the article, it would seem to be the latter case. If so, than I can’t imagine there would be any reason to deny Akihito’s wish to abdicate, especially considering his age and health. There is, after all, ample precedent in Japanese history. Hitler’s best-selling book Mein Kampf, or My Struggle, will soon be published in Germany for the first time since the end of World War II. After Hitler’s death at the end of that war, his estate, including the German copyright to Mein Kampf, was taken over by the Bavarian government and it, along with the federal government of Germany has not permitted the publication of Mein Kampf in Germany. It is not actually illegal to own a copy of Hitler’s book, but the German government has tried its best to limit its availability. As German copyright law permits a book to pass into the public domain seventy years after the death of the author, Mein Kampf will soon be available for publication once more and some scholars are taking advantage of this development by releasing a new, annotated version to the German public. For 70 years since the Nazi defeat in World War II, copyright law has been used in Germany to prohibit the publication of “Mein Kampf” — the notorious anti-Semitic tome in which Adolf Hitler set out his ideology. That will change next month when a new edition with critical commentary, the product of several years’ work by a publicly funded institute, hits the shelves. While historians say it could help fill a gap in Germans’ knowledge of the era, Jewish groups are wary and German authorities are making it clear that they still won’t tolerate any new “Mein Kampf” without annotations. Under German law, a copyright expires at the end of the year 70 years after an author’s death — in this case, Hitler’s April 30, 1945, suicide in a Berlin bunker as the Soviet army closed in. That means Bavaria’s state finance ministry, which holds the copyright, can no longer use it to prevent the work’s publication beyond Dec. 31. The book has been published in several other countries; in the U.S., for example, Bavaria never controlled the copyright. In Germany, many argue that holding back “Mein Kampf” merely created mystique around the book. The idea of at least a partial version with critical commentary for the German market dates back as far as the late 1960s. The Munich-based Institute for Contemporary History, which is behind the new version, sought and was denied permission to produce the book in the mid-1990s when it published a volume of Hitler’s speeches. Hitler wrote “Mein Kampf” — or “My Struggle” — after he was jailed following the failed 1923 coup attempt known as the Beer Hall Putsch. Millions of copies were printed after the Nazis took power in 1933. The rambling tome set out Hitler’s ultranationalist, anti-Semitic and anti-communist ideology for his National Socialist German Workers Party, or Nazi party, airing the idea of a war of conquest in eastern Europe. “The book should not be underestimated as a historical source and also as a key to understanding the history of National Socialism,” the director of the Munich institute, Andreas Wirsching, said ahead of the new edition’s mid-January publication. This shouldn’t really be controversial. Mein Kampf did play a role in recent German history and I don’t think there is any real harm in publishing an annotated edition of the book. In general, I think that trying to ban a book or a movie only draws attention to the material the censor is trying to ban. Human nature being what it is, that which is forbidden automatically becomes more attractive. Since private ownership of Mein Kampf was never illegal and since Germans could find copies online for the last two decades, making a fuss over Hitler’s book seems counterproductive. Anyway, I doubt if this new and annotated version of Mein Kampf, will lead to a revival of Nazism in Germany. I don’t imagine that many of the Germans who originally joined the Nazi party were convinced by reading Mein Kampf. Hitler wasn’t a particularly original political theorist, though he did prove to be a genius in propaganda and mass psychology, and most of the ideas presented in Mein Kampf were similar to views held by many educated Germans. Hitler himself did not take Mein Kampf all that seriously. Writing the book was largely a means to get needed income while he was in prison. 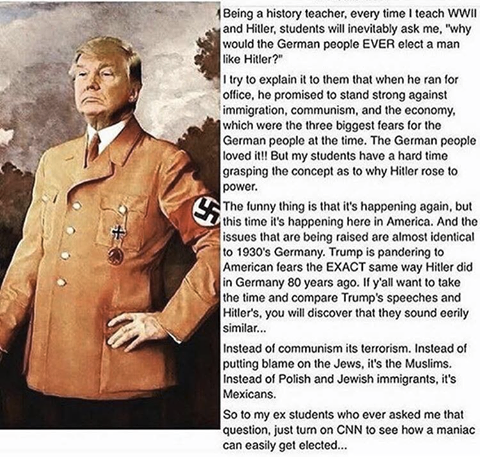 The rise of Hitler was due more to his charisma and the economic and social conditions of Weimar Germany. For many Germans, it seemed as if the more mainstream political parties did not care about their welfare and were eager to sell Germany out to its enemies. If the German authorities are concerned about the rise of extreme nationalist movements in Germany, they might want to study the lessons of Hitler’s rise to power and take care not to make the same sort of mistakes the Weimar authorities did with Hitler. Switzerland Asserts its National Identity in Right-Wing Election Victory (safehaven.com) We are going to see more of this in the next few years. 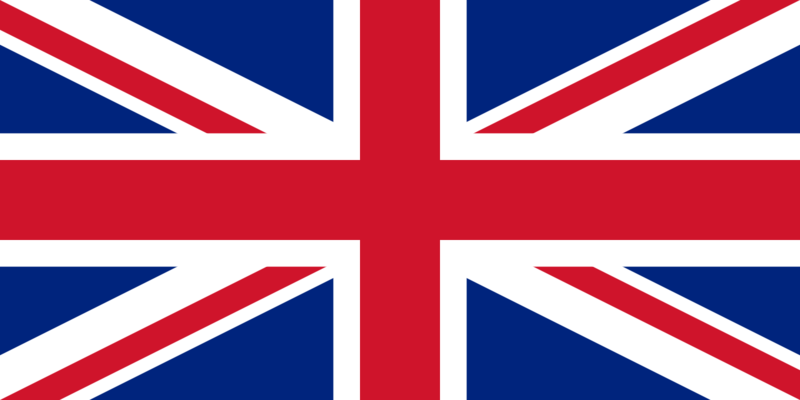 If the mainstream French, German or British political parties cannot convince their people that they care about France, Germany, or Britain than foreign refugees or the increasingly unpopular and unworkable European Union, the people will turn to the extremists.